Since my magazine will lean towards the shoegaze genre, it is key that I choose a title that associates with that style of music. 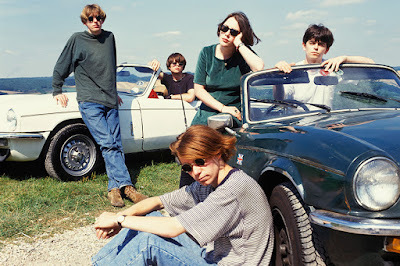 I feel that shoegaze tends to be very sensuous; for me, words like 'Gush', 'Lush', 'Gaze', 'Dive' and 'Crash' come to mind. I want to choose a one-word title because that ensures simplicity, and keeps the magazine far more structured. As well as this, I have noticed that all of the magazines I have been inspired by have singular word mastheads (e.g. Clash and DIY). 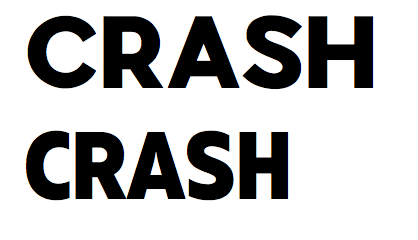 The two fonts featured in these title ideas are: Pier Sans Black (top) and Muller Narrow (bottom). I have decided that I much prefer the Pier Sans Black font, as it is reminiscent of the font from both Clash and DIY magazine - both of which have highly appealing mastheads. 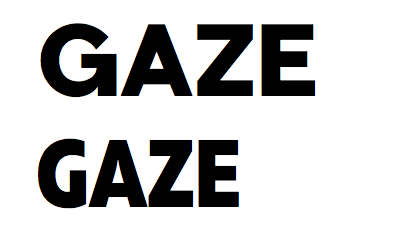 The Muller font is far too narrow - I don't want to create a confined image for my magazine. 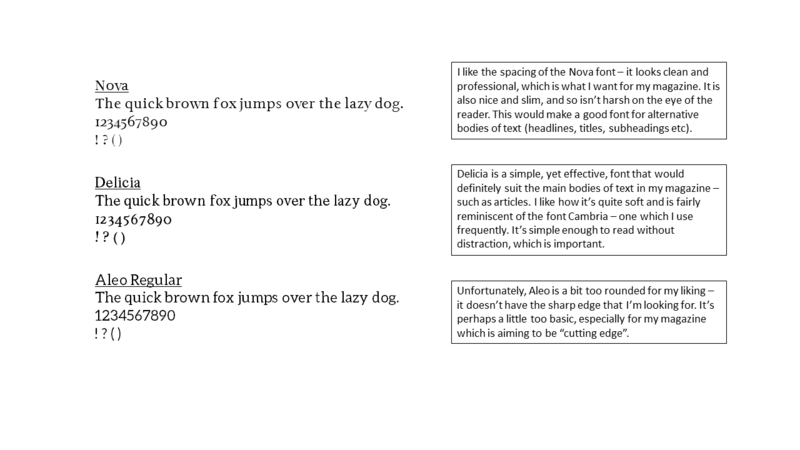 In contrast, the Pier Sans font is nicely rounded and spaced out, allowing for a structured and simplistic look. 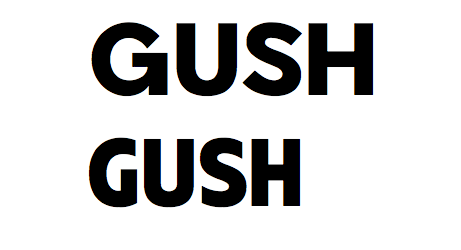 In terms of titles, I like both 'Gush' and 'Crash' because of the 'sh' sound that is created at the end of each. As well as this, the font works well with both of these titles. Overall, I feel that Gush links more to shoegaze, and so it will be the final masthead for my magazine! 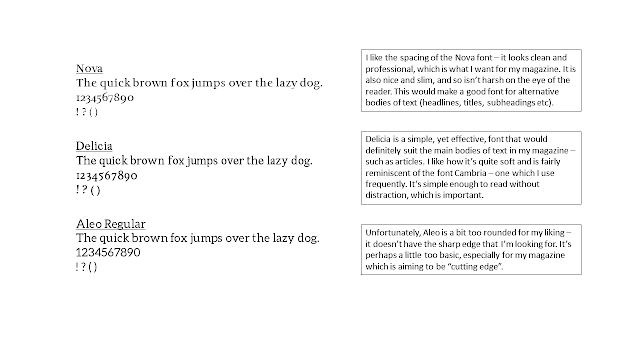 In contrast to the font for my masthead, I want the font for other sections of text to be smaller and slightly less spaced out. As well as this, I feel that a serif font would be better - as opposed to sans serif - because the sharper lines are more composed, allowing for a clean and professional appearance.